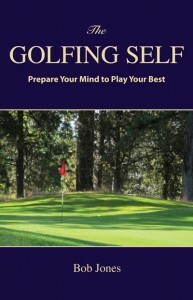 Most golfers try to hit the ball a long way whenever they see the room to. The trouble is, that strategy leads as often as not to poor shots that wouldn’t have gained much even if they were successful. 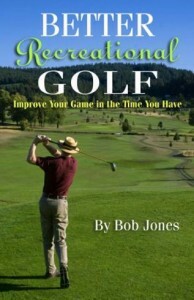 Instead, try planning the way you play a golf hole by doing the math. There’s a hole on my home course that is 502 yards long, par 5, with a narrow fairway, and a creek that crosses the fairway about 175 yards from the tee. There is a tree on each side of the fairway, next to the creek, that frames the tee shot and tightens it up even more. There’s a lot of room to go wrong with the tee shot, but you can find a way out if you just do a few math problems. First of all, there are only 175 yards to clear the creek, so take a club that you can hit 190 yards and use that one off the tee. Odds are you hit that club much straighter than your driver, so you will likely end up in the fairway, across the creek, with 312 yards to the green. Divide that yardage by 2. If you hit two shots that are 156 yards long, you’ll be on the green. Say that’s two 6-irons. You would also rather not hit something as long a a 6-iron into a green if you can help it, so instead of two 6-irons, hit a 5 and a 7. Or a 4 and an 8. Do you see how this works? All this hole asks you to do is cover 502 yards in three shots. How you do that is up to you. There is more than one way to cover that distance, some of them easy ways, and they don’t all start off with a driver. By the way, the next time you step onto the tee of a 312-yard par 4, you know now that you don’t really need to tee off with your driver, don’t you? Here’s another example. You tee off from a 386-yard par 4 that runs uphill, and flub the drive. That happens. You’re 260 yards from the green now, so out comes the fairway wood. Think about this for a moment. You’re still two shots away from the green because you can’t hit your fairway wood that far. So divide the distance by 2 and you get two 130-yard shots — two easy 8-irons. Maybe a 7-iron and a 9-iron, or a 6 and a pitching wedge. Do the math to take high-risk shot out of your hands, especially when there is no real payoff for hitting them well. If you’re worried about what your playing partners will think about you if you keep the longer clubs in the bag, don’t be. You’ll get more respect from them because you’ll be the lone golfer of their acquaintance who actually thinks. Excellent advice. A little thought equals lower scores. I really like this advice because the times I actually hit a poor tee shot are rare for me maybe once at most twice a round. 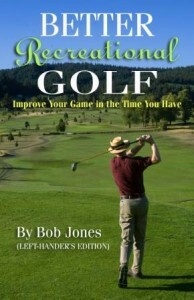 Usually what happens is I try to hit a long iron or a low lofted hybrid to make up for the tee shot. I’m putting pressure on myself after a mistake so this advice is sound pick an iron which hardly ever fluff and it restores confidence quickly so thanks. Again, if it’s going to take you two shots to get to the green anyway, make them two easy shots.